Shine with subtle drama this season in the Taddeo bracelet. 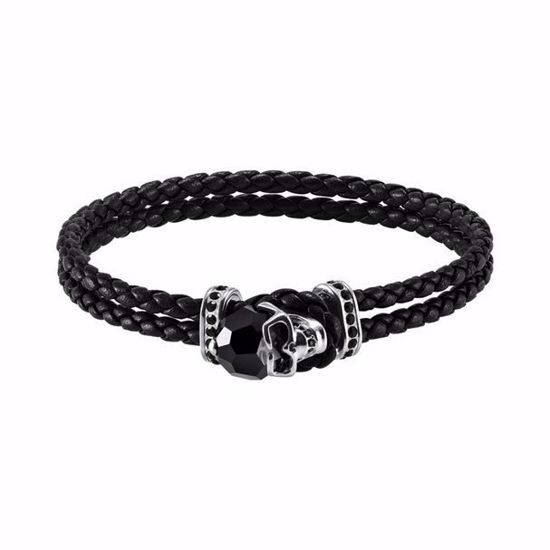 Crafted in woven leather, it features a palladium-plated skull motif centerpiece with black crystal decoration. Embellished with black pavé, it is a unisex design with Gothic edge.